We are manufacturer and wholesale Thai Herbal Compress Ball (Thai Herbal Compress), original Thai Herbal Compress Ball (Thai Herbal Compress) from Thailand for Thai Spa, Thai massage treatment, Thai massage school, etc. with the premium level and we are please to create your own Thai Herbal Compress Ball (Thai Herbal Compress Ball) based on customer's recipe. also packaging desing and label design with the highest level. We ship worldwide. 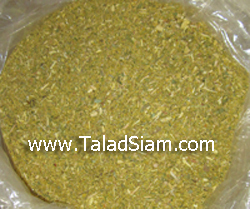 Thai Herbal Compress ball (Thai Herbal Compress) is the name of a treatment that use a round herbal ball of special herbs. According to historical evidences, it has been used in Thailand for over 400 years in Thailand as medicinal hot compress to relieve aches and pains of the body. 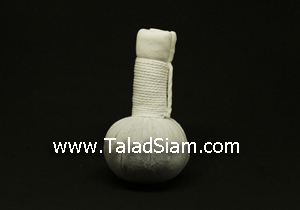 The Thai Herbal Compress ball (Thai Herbal Compress) made from various dried herbs wrapped in cotton traditionally used in Thai medicine. 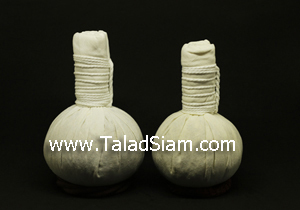 The Thai Herbal Compress ball is used to alleviate pain or inflammation (especially good post partum) by opening the pores and bringing a medicinal heat to muscles to induce relaxation. Our Thai Herbal Compress Ball (Thai Herbal Compress) are made with care from the best selected of fresh herbs and pure natural ingredients. We have obtained Certificate of Free Sale issued by Public Health for our Thai Herbal Compress Ball (Thai Herbal Compress). 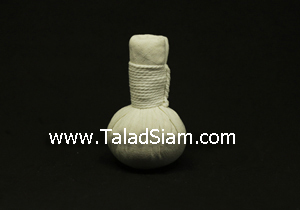 Direction : Steep or sprinkle the Thai Herbal Compress Ball (Thai Herbal Compress) until wet, steam for 15-20 minuits. If the herbal balls are already hot, then compress the area of pain about 3-5 times. Switch the Thai Herbal Compress Ball (Thai Herbal Compress) when its cold. Do not compress for a prolong period of time. Compress it fast and take a break, then repeat several times. Storage : Keep the Thai Herbal Compress Ball (Thai Herbal Compress) in freezer after use. If dry, sprinkle water before storage. 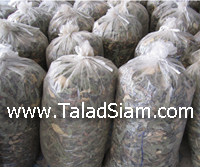 Throw away the Thai Herbal Compress Ball (Thai Herbal Compress) after re-use 5 times or if ordor occurs. 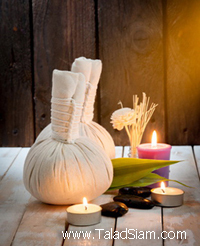 Benefit : Thai Herbal Body Compress Ball (Thai Herbal Compress) has been used as an ancient healing system for massage chronic problems such as back pain for many centuries in Thailand. It is commonly compliments traditional massage. 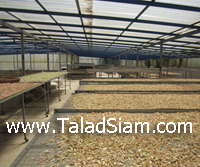 Thai type of treatment is said to be particularly good for muscle aches and pain. Apply soothing strokes to massage you, or place it on acupressure part of your body to relieve sore muscles, stimulate circulation, as well as to increase energy flow that is vital for health. Benefit : Thai Herbal Facial Compress Ball (Thai Herbal Facial Compress) for face can promote silky smooth skin by using a mixture of herbs and nourish the skin and can also be use to improve blood circulation for dry skin and sensitive skin. 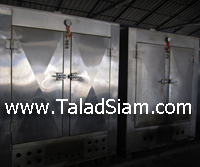 The skin will be invigorated, soft and smooth as dead cell are removed, while blood circulation is stimulated. Benefit : Sesame seed is a good source of natural vitamin E which can penetrate into your skin easily and help regenerating the epidermis while help firming your skin and increasing the moisturizer and the blood circulation. Sesame Compress Ball is recommended for using after finishing the massage. Benefit : The meat of coconut is the most valuable part and contains nearly all of the oil in the nut. It will moisturize your skin while massaging on your skin. Coconut Compress Ball can be used for face, shoulder and body.